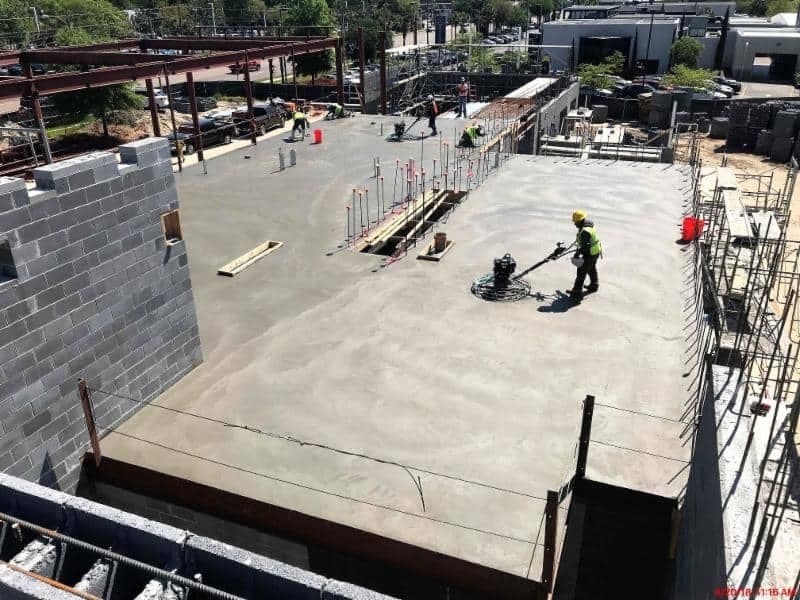 The second-floor slab was prepped, inspected, and poured this week. 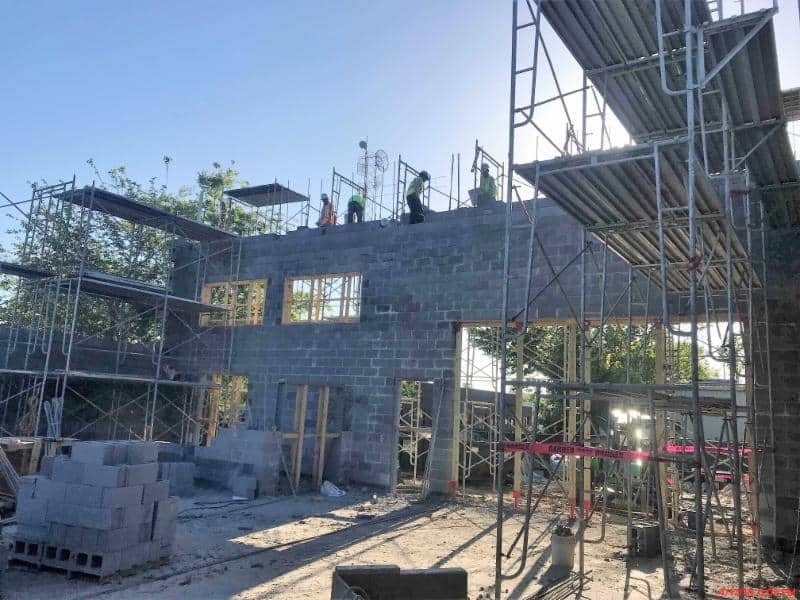 Block and structural steel continue to make progress on the building structure while mechanical, electrical, and plumbing work to get a jump start on overhead rough-ins. 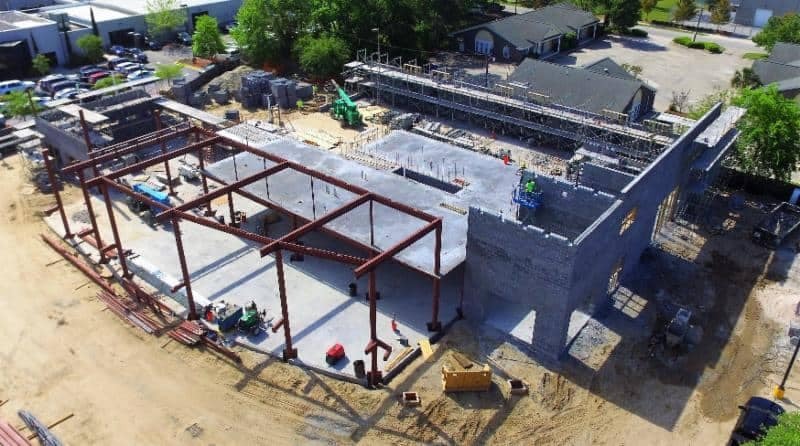 Drone photo shows the progress of the block work, structural steel, and recent 2nd floor slab pour. Welders installed Nelson Studs to the steel decking, electrical conduits and floor outlets have been roughed-in. 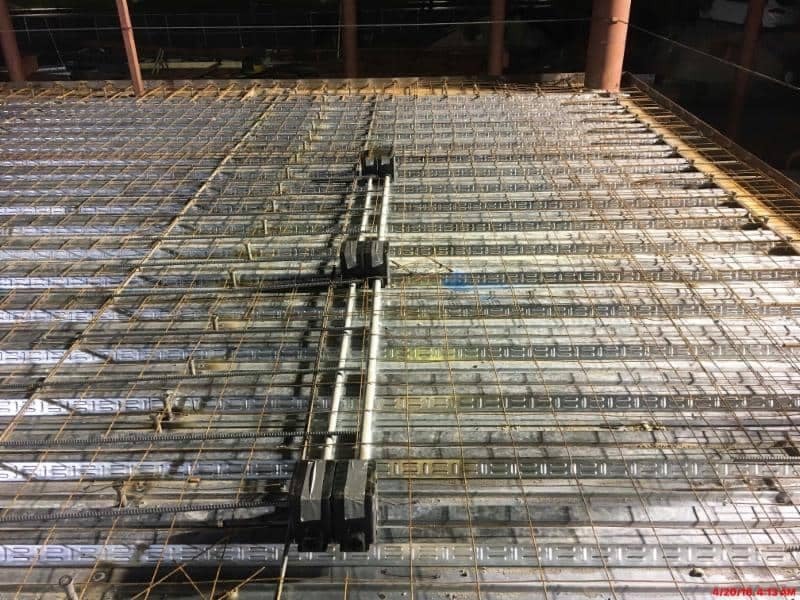 Welded wire mesh was placed on the 2nd floor readying it for concrete placement. 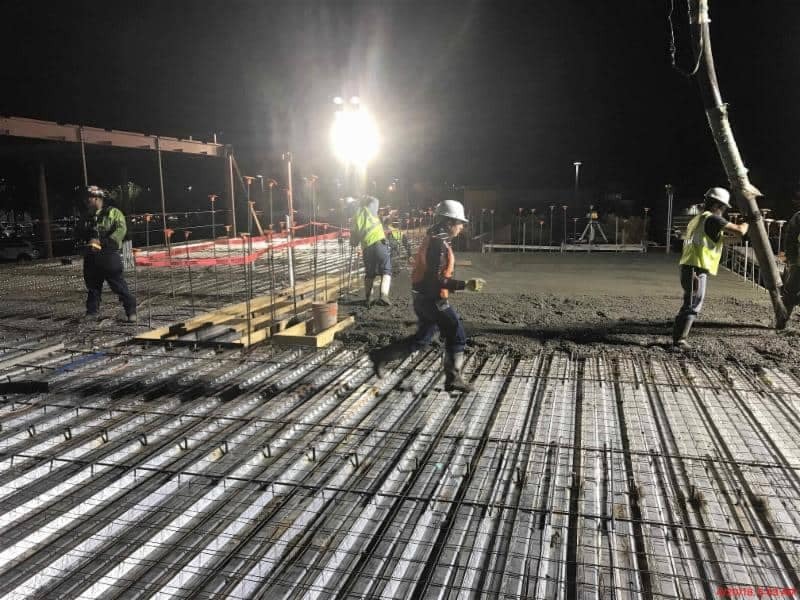 3 am concrete pour for the second-floor deck allowed the concrete trucks to travel to the site without encountering Charleston traffic. A pump truck was used to place the concrete on the upper deck and then powered trowels provided the finish. 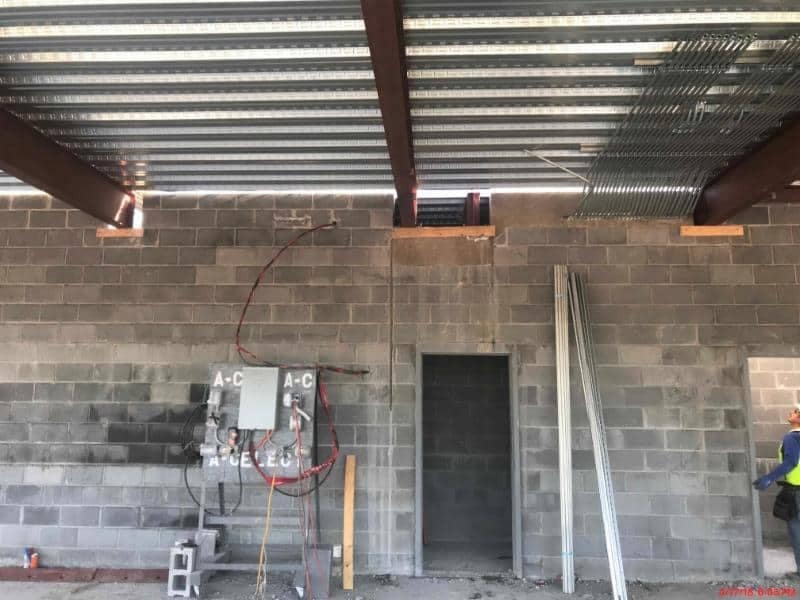 Overhead electrical conduits and mechanical ductwork hangers began to be installed under the second floor deck. Masonry block continues to make slow but steady progress. 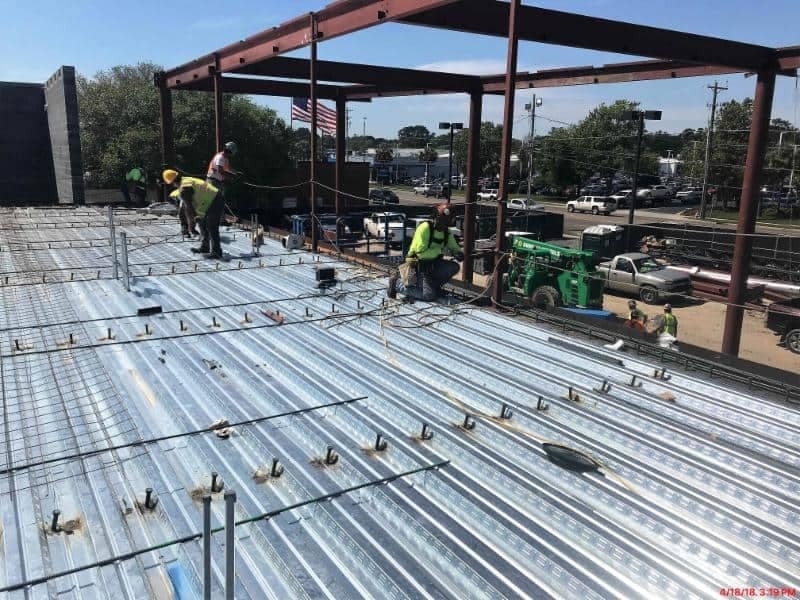 With the second floor deck poured, the masons will jump on the new slab and continue to take the block to final bearing height. 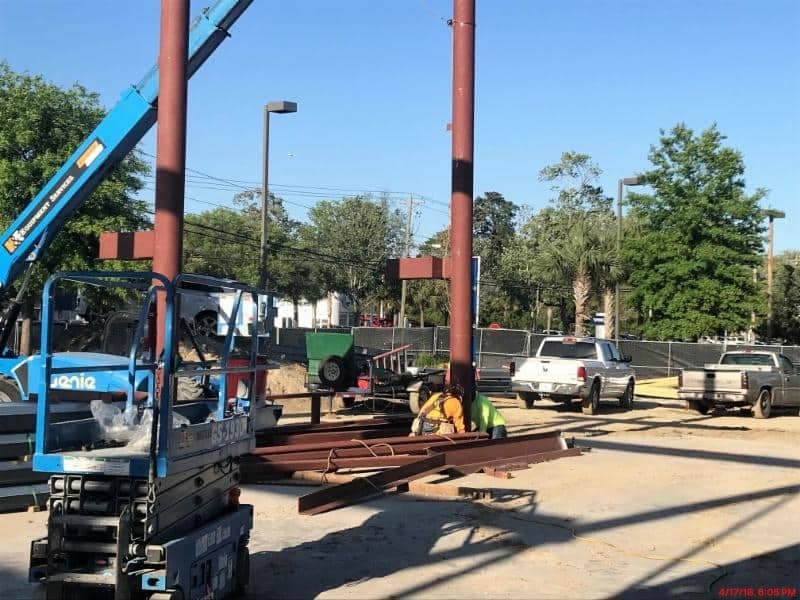 Structural steel continues to be erected and the curved front facade is starting to take shape.